Add your own personal flair to your daily cup of coffee! 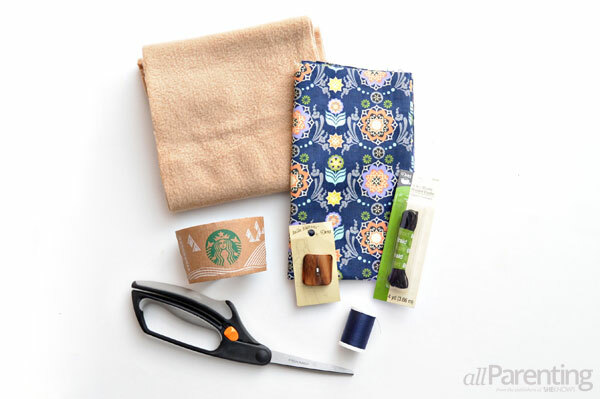 You can transform some simple fabric scraps into an adorable coffee cozy — limited sewing skills required! 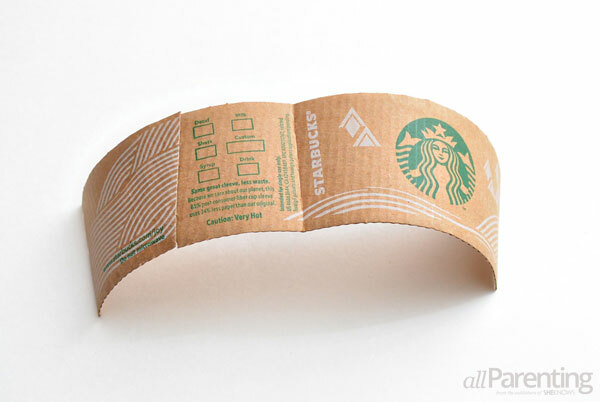 Cut the cardboard coffee ring open along one of its seams. 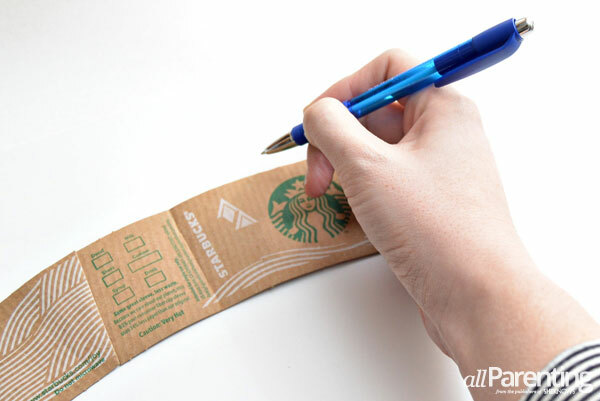 Lay the coffee ring out flat on top of a piece of card stock, and then trace around it with a pen. 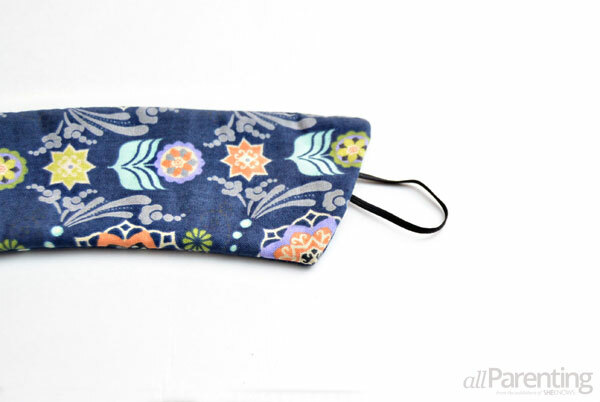 Add an extra 1/4-inch around the outline for seam allowance. You can use a ruler or seam gauge for accuracy, or you can just eyeball it like I did. It doesn't have to be exact. 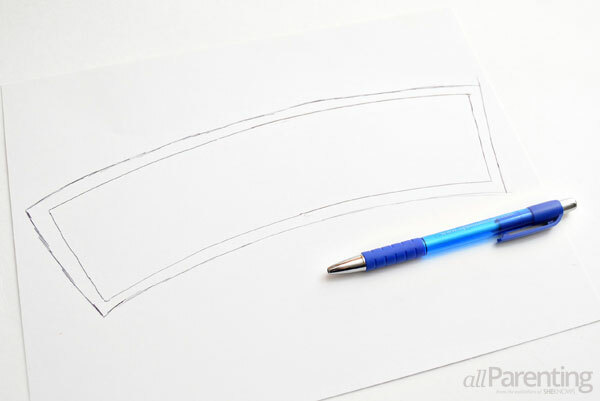 Cut out the card stock template, then use the template to cut out 2 pieces of cotton fabric, and 1 piece of fleece fabric. 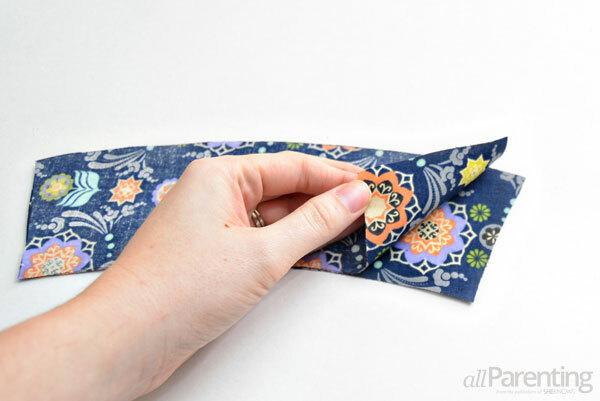 Lay the 2 cotton pieces of fabric with the printed sides facing each other. 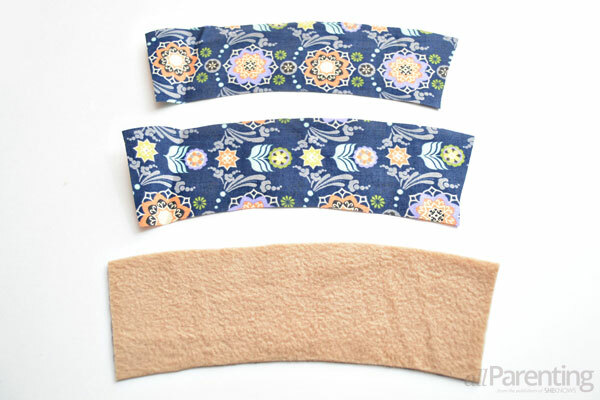 Lay the fleece fabric on top of the 2 pieces of cotton fabric, then sew around 3 of the 4 sides, leaving one short end open. 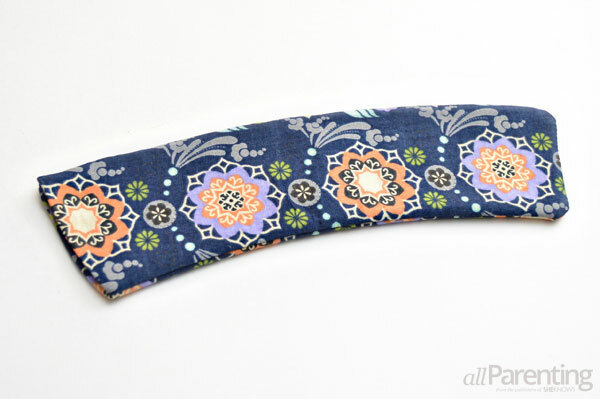 Turn the fabric right side out and press the seams with an iron. 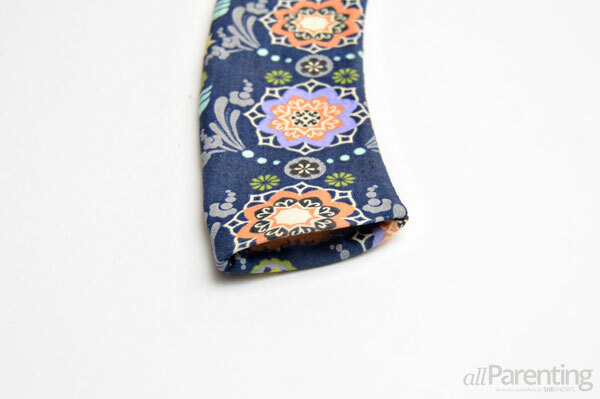 Turn in the fabric on the open end 1/4 inch and press the fold to keep it in place. 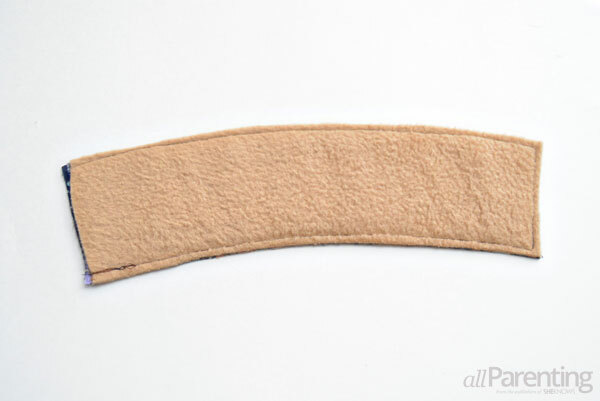 Cut a piece of elastic that is 2 inches long. 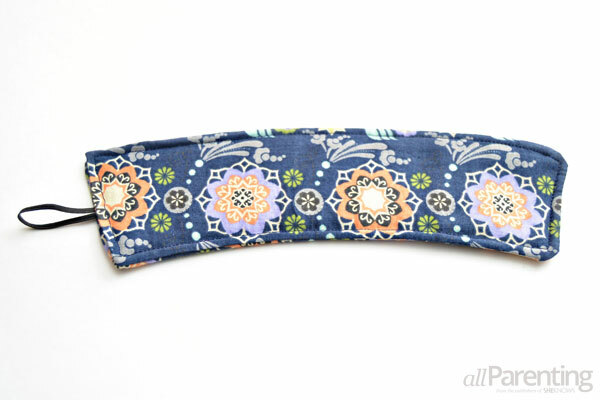 Fold the elastic in half and slide it in the open end of the fabric. Top stitch to sew the open end closed, then continue the top stitch around the rest of the coffee cozy. 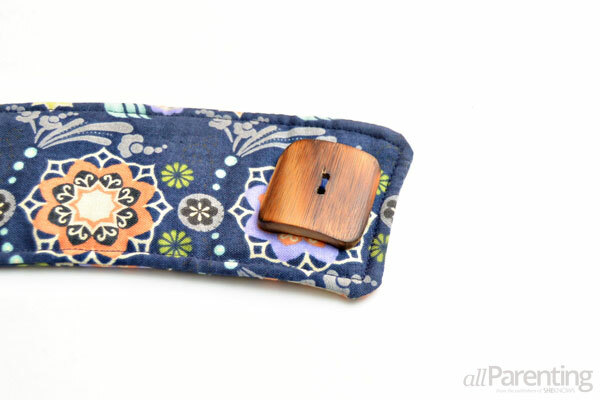 Grab a sewing needle and some thread and sew the button on the side of the coffee cozy that is opposite the elastic. 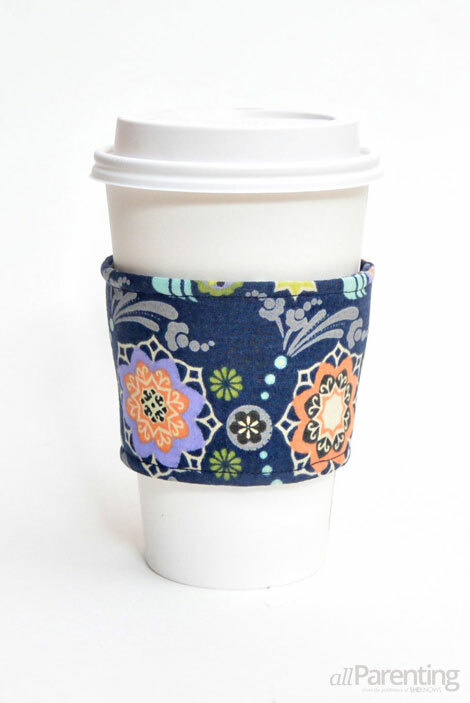 Wrap the coffee cozy around your coffee cup, slide the elastic over the button, and your coffee cozy is ready to use!